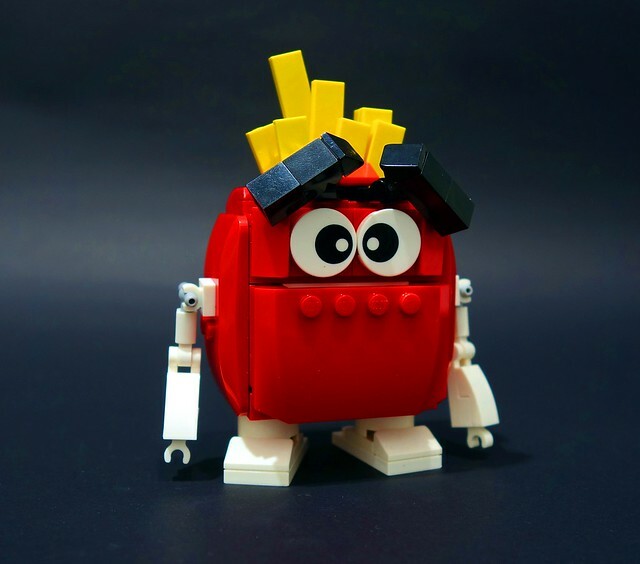 Sure, you might think he's just some french fried potatoes in a cardboard sleeve, but you'd be wrong, it's Frybot from builder chubbybots! 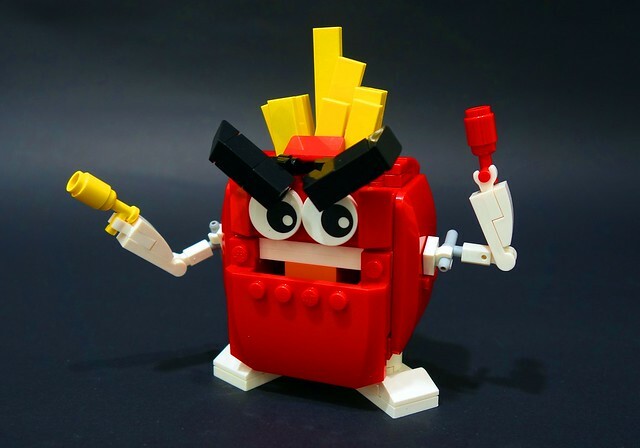 I have no idea what his primary function is, it might be to save us all from plain food with his twin condiment cannons, but it could also just be to look pretty awesome next to a burger. He could be part of a whole elite fast food fighting force, we just don't know.